The Dismounted EOD MOLLE Belt with COBRA Buckle uses the Warrior Assault Systems Low Profile MOLLE Belt with COBRA Buckle and 4 EOD Gear Rip Away Pouches to create the ultimate EOD Belt. 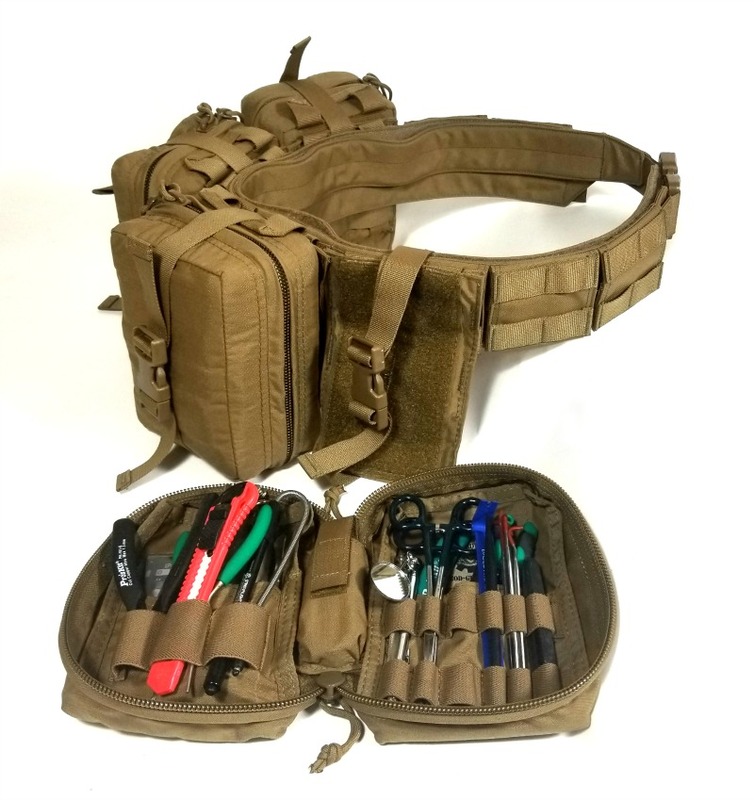 The EOD Ripaway Pouch is large enough to hold your specific tools or kits. Easily adaptable to carry the tools you specifically need for a mission. Rip the pouch you need, take the tool or tools needed and slap the pouch back in place, get to work. Repeat as required. The belt is completely hydrophobic so it won't hold water or sweat which would have increased the weight you're carrying. Extremely comfortable adding extra protection due to the padding within the belt. Put your gear where you can reach it. Get the Dismounted EOD Operator Patrol Belt and start using your packpack as your immediate action kit.